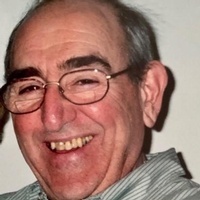 FRAMINGHAM – Anthony “Tony” Collotta, 83, of Framingham, passed away peacefully on March 4, 2019 surrounded by his close family and friends. He was the beloved husband to Carmella (Marino) Collotta. Born in Framingham, MA on October 2, 1935, Tony was a lifelong resident and a well-known and loved barber in town for many years. He was the son of the late Santo and Mariana (Piscitello) Collotta. In addition to his wife, Carmella, Tony is survived by several sister-in-law’s and many nieces and nephews. He was predeceased by his sister Mary (Collotta) Turieo and his brothers Orazio and Alfred Collotta. Tony served in the National Guard and was a member of The Framingham Columbus Italian Club, The Elks and The Barbers Association. He had a passion for vegetable gardening and golfing, excelling in both. He was an avid golfer and held a membership at the Marlborough Country Club for many years.